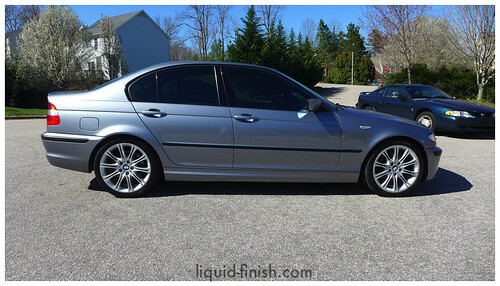 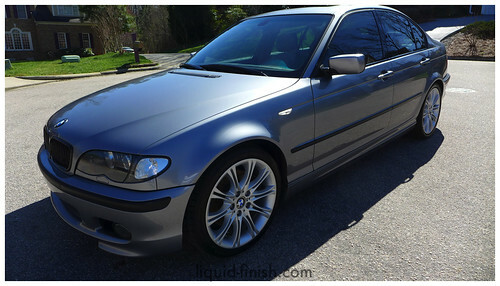 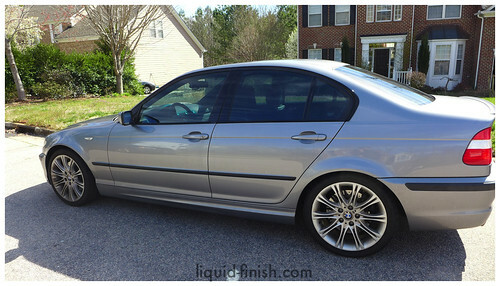 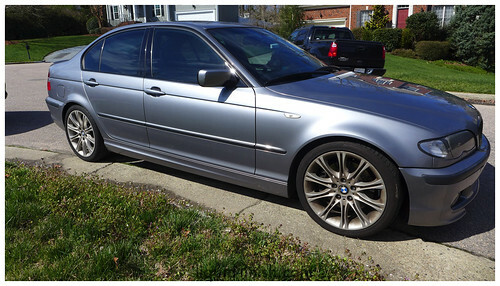 BMW 330 ZHP E46 Dark Silver in for a general level 1 clean & protection detail. 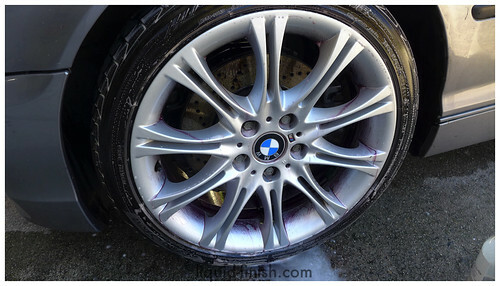 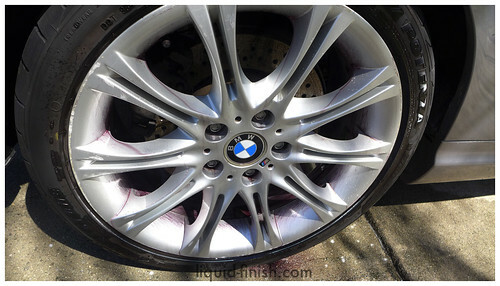 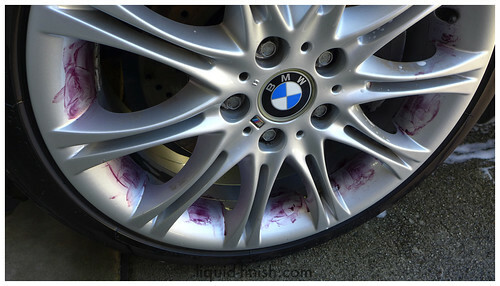 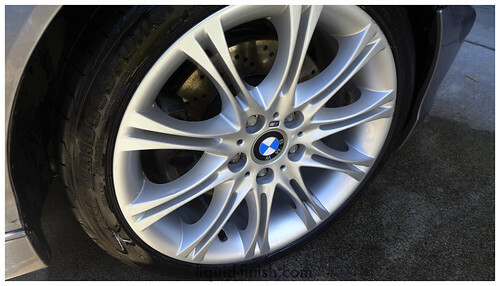 We decided to attack the iron deposit/brake dust issues on the wheels by using CarPro Iron X & Iron X Paste. 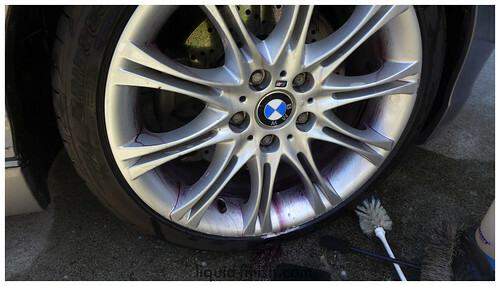 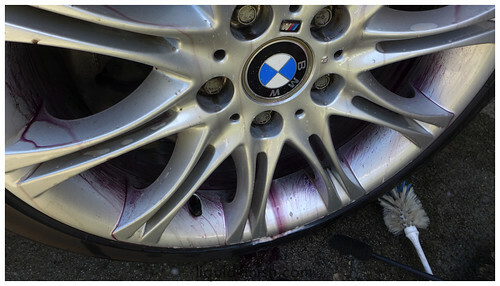 Instead of using Acid on the wheel, deionizing the wheel safely with repeated safe applications really deep cleaned the wheel. 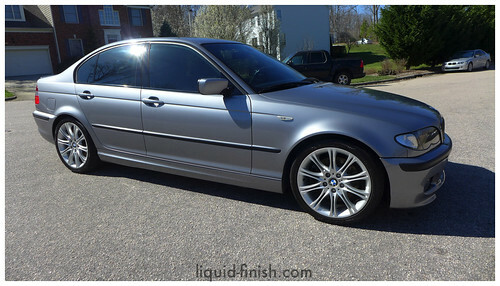 We also treated the alcantara with Leather Master’s Nubuck Eco Protector.